Here, the damage is not massive and will require little skill set, and resources. Repair at this stage should cost between; $120 to $180 + GST. A malfunctioning hard drive. A section of your hard drive’s system could be failing. The damage could be due to being overwritten or corrupted by firmware/virus. Type 2 is more complicated. We will need to make the drive functional again. We adopt a more aggressive approach to recover the deleted files. Damages at this stage would involve head crushes which are usually caused by your drive’s head hitting the disks. Other complications include; non-spinning motors, discs sticking to the hard drive, and extensive damage to the hard drive which would have been caused by being dropped or getting exposed to water, and fire, etc. 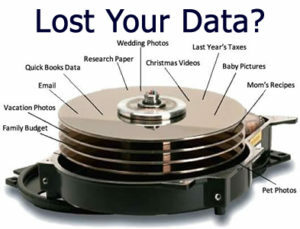 Data recovery for any file format. We will help you recover lost files for different formats like; Outlook files recovery, QuickBooks files recovery, and MYOB data recovery among others. Hard Drive Files Recovery. We will help you recover lost/deleted files for business drive servers, laptops, external drives, and desktops etc. Recover deleted files smartphone and iPhone. We can help you recover lost files on smartphone or iPhone devices, but this could be limited to your manufacturer. Before going ahead with the procedure for retrieving lost data on the phone, it’s prudent to contact your phone’s manufacturer to know how possible it could be with the model. Memory card/USB flash data/picture recovery. We can also help you recover deleted pictures/files on SD/XD cards. Install updated antivirus software on your device. Antivirus software will keep your device safe from malicious viruses, and Trojans which could corrupt your files and even delete them. Do not move your notebook/computer when using it. When you move your laptop around when in operation, you can cause a power interruption which could lead to the device shutting down before you could save all your data. It is advisable that you stop using your computer when you begin to hear strange clicking or grinding sounds from the machine. Use Uninterrupted Power Supply. UPS will help keep your computer running even after a sudden power interruption. This will help give you enough time to save all your data. If you lost specific data on the parent folder, do not restore backup files on the same system again. Do not share your network or permit access to the system by strangers. Malicious users can steal, modify or delete all your vital data/files. Maintain your disk. It is vital that you perform regular disc defragmentation. 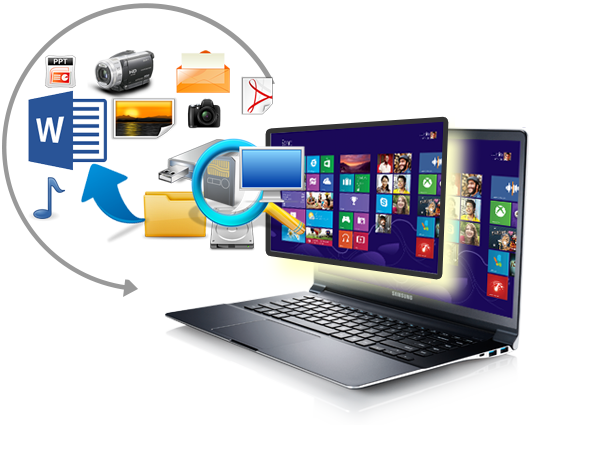 It will help you keep all data well arranged and easy to access and recover in case of loss. Keep your machine dry, and avoid exposing it to the sun, rain, and humidity as this would contribute to rust which would damage its hardware components. If you need to recover your deleted files you can trust us with the job for various reasons. We have all the tools necessary for data recovery. A key benefit of working with us is that we only accept payments for successfully recovered files and documents. We also do a thorough evaluation to diagnose the fault before agreeing on the approach to use. Once we’ve evaluated the problem, and you accept our offer, our team of experts will begin the task straight away. Note; We recover deleted files from all content options including emails, digital photos, and files, etc.